When you’re looking for a new way to improve your hunting game, you may start to wonder what tools you can use. Once of the best tools you can get is the trail camera. 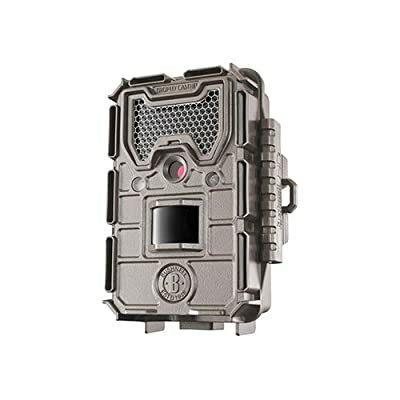 A trail camera will be able to help you watch the game out in the areas that you want to hunt. This means you will spend less time and energy when you’re in the field on figuring out where the game is hiding. 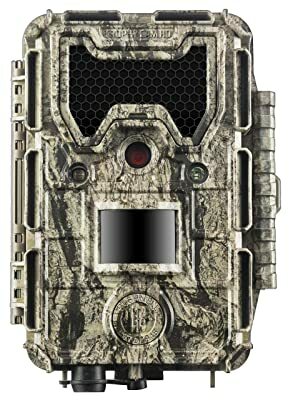 Getting the best trail camera for your hunting style and purposes can really be the best thing to do for the hunter that wants to take his hunting to the next level. However, you will need to figure out which trail camera is the best for you. 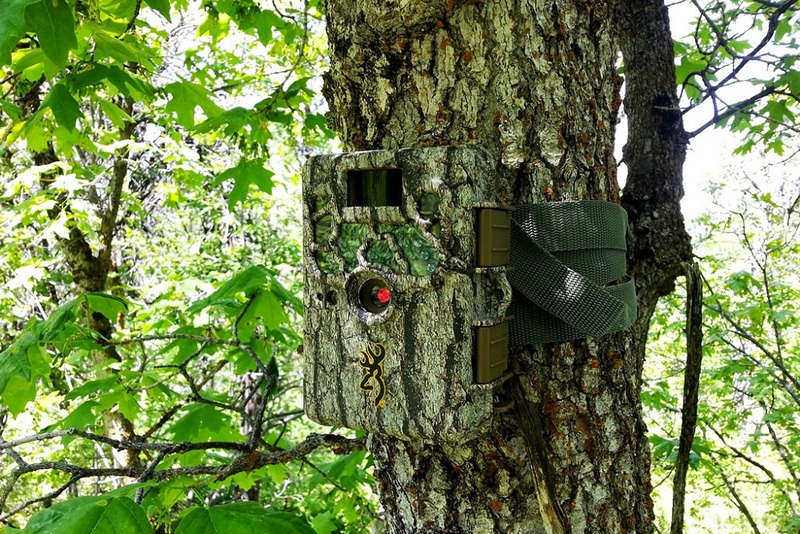 We’re going to go through some features to keep an eye out for as well as some suggestions on the best trail cameras out there to get you on the right track to improving your hunting game. 4.0.1 Q: What is the difference between a trail camera and a game camera? 4.0.2 Q: How should I mount my camera? 4.0.3 Q: How high should I place my camera? 4.0.4 Q: Is there a difference between night and day picture quality? 4.0.5 Q: My IR triggers with every photo, not just at night? 4.0.6 Q: How do I keep my camera from being stolen? 4.0.7 Q: What type of batteries should I use in my camera? 4.0.8 Q: What affects my camera’s battery life? To be the best trail camera, you really have to do everything right. It’s a big business with so many options and innovations that just going with the normal features won’t be enough. Those usual features have to be there and be above the standard but you have to provide something else that makes the hunter’s life easier. That is exactly what Lixada has done. This clear and crisp 12mp camera has one of the fastest trigger times in the industry at just 1/5th of a second. 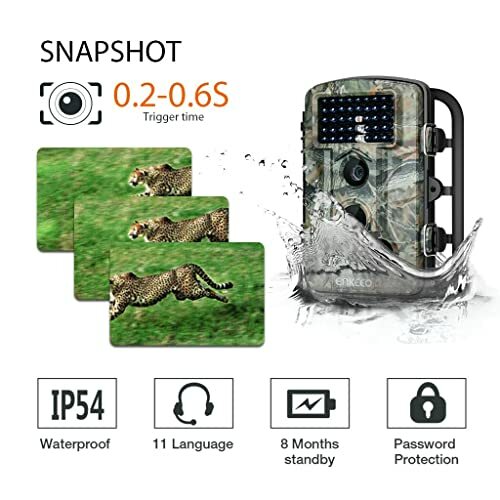 Unless you are trying to get a picture of a cheetah, nothing is going to escape this camera, especially with an infrared range of nearly 60 feet and a 100-degree trigger arc. Whether images or video are your desire, this camera does both with outstanding quality. The battery life is equally impressive at up to 5 months with quality batteries and the right settings. This is a full season camera from the time you start scouting until the end of bow season. You won’t miss an opportunity and can even check the unit in the field with its onboard LCD screen. But that’s just what it takes to make a good camera. What it takes to make the best camera is the ability to let the hunter know just what is going on before he gets in the field. The Lixada uses a variety of cellular and wireless technology to send the images straight to you. If there is a big buck prowling your hunting grounds, you will know ahead of time what to expect. This is the type of camera that makes scouting easy. Everything in life is a tradeoff. Maybe the features can be downgraded a bit to get the most convenient and easy to use system available. Sure, you still want great image quality but it doesn’t have to be excessive. As long as you can get a quick trigger, decent range, and good coverage there is little more you really need from a camera. The Spartan is a fairly simple and spartan camera. The image and video quality are reasonable at a max of 8mp and the trigger time is a respectively quick .6 seconds. Anything that passes in front of the camera is going to trigger it, at least out to 80 feet which is plenty far for a wildlife camera. The battery life will vary greatly on your settings and the local climate but you can get a lot out of a single set of batteries. It may not be the half a year length but you can get most of a deer season on a single charge. Especially if you use a longer trigger interval. Where this camera begins to shine is in its advanced 4g connection. Not only can it send you all of the pictures and video it captures but you can even change settings and access all of the features of the camera straight from a browser. This isn’t going to cost a fortune either as it uses a Machine plan that can run as little as $5.00 a month. When time is precious, this is a camera that will help you save it and spend it wisely. The added bonus is that you can see what is going on in your hunting area without ever setting foot on it. No spooking the deer or leaving scent behind. AKASO have earned a reputation for making some of the most durable and dependable cameras on the market that are loaded with great features. Sure, you don’t get the wireless connection but if that isn’t one of your needs, this camera will do everything else and do it very well! At 12mp and up to a full 1080p video, you won’t have to worry about the quality of what you pull off the camera. 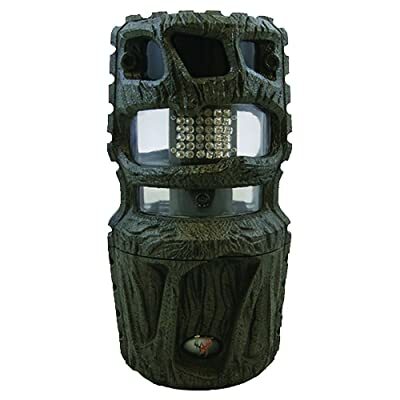 It is sure to capture quality images even on the darkest night with up to 65 feet trigger and IR illumination. Even going wide around the camera isn’t going to make a difference, anything within a 120-degree arc is enough to cause a trigger. This a program and leave camera with up to 6 months of run time on a single set of batteries. All season long, you can get great pictures of the wildlife in your area. The weather doesn’t even matter with the fully rain and dustproof shell. The AKASO can accommodate up to 32 gigs of internal storage and can go weeks without needing any interaction. While it may lack the flash of some comparably priced cameras, it more than makes up for it in durability and ease of use. Just make sure you get it closed up correctly to keep the weather out. Browning is one of those powerhouse names in the hunting world. They produce or distribute tons of products that have always been well regarded in the quality and durability department. In the case of their cameras, they all function well but this camera stands above the rest in almost every way. To start off with, you won’t find a camera with a more clear or high-resolution image. At a full 24mp, these images will show the smallest details and allow you to count the times on a deer no matter how far away he is. Since this camera has an 80-foot trigger range and flash, being able to pick out those little things in the image is vital. You would expect that level of range to make the camera slow to process but with the astounding trigger time of less than 1/8th of a second, you will never miss a shot, no matter how fast the animal is moving. Stick in up to half a terabyte of storage and you can get all of the images in poster quality that you could ever want. For the price, this is one of the best high-resolution cameras on the market. You may not have to check it often with its large capacity but you are going to want to just to see the detail it has captured. Your biggest problem with this camera may be finding one, they sell out quick! For those of us with busy lives, wireless cameras are a lifesaver but if we are a little lighter in the pocketbook, affording one has always been an issue and everyone knows one is never enough. Now you don’t have to spend a fortune to get wireless images in your own home on your downtime. Setting up a Bigfoot camera can be a game changer. The camera itself isn’t anything special. It is far above the quality of a budget camera and manages to hold up to most other cameras in its price range with quality 12mp images and up to 720p video. It triggers at a respectable 62 feet and has enough IR power to get out there for clear images even on the darker nights. But the big selling point is the wireless. It may only be 3g but it’s not like you are waiting around for it to send, it can do that in its own time. Cost of the plans is cheap and can run as low as 5 bucks a month. Get those images on your cell phone or in your email. The biggest downside of this camera is the craving to head to your hunting ground every time it sends you a pic of a buck. When it comes to planning your next outing, this camera is an indispensable tool. Once you use it, you won’t know how to get along without it. Sometimes you get a product that is so well designed that you don’t know how anyone is ever going to beat it. This happens when the company appears to have thought of everything and made the perfect design decisions to deliver the most amazing product for just the right price. Be forewarned that owning just one of these will never be enough. So, what makes this camera so great? Firstly, it’s the amazing 24mp resolution images and HD video that can be triggered in under a 5th of a second. Other companies do that but none offer it in a camera that can get those images out to a full hundred feet in day or night. Bushnell didn’t stop there though. The single battery charge run time on this camera is a full year and that isn’t just a claim, it’s a guarantee from the company. One true year on just a few bucks worth of batteries. Couple all of that with the little details like no-flash IR and easy setup and you have one of the best trail cameras on the market. It may not have everything but it does have everything you need. Go ahead and get a couple, you are going to want them. Seeing a new product from Wildgame Innovations almost feels like Christmas. You never know quite what it is going to be but you are pretty sure it’s what you want. I can’t think of any outdoor company that does exactly what their name says. When they use the word Innovations, they really mean it. So, what makes this product so unique? It’s a panoramic game camera, that’s what! You get panoramic images! Full 360 degrees worth of panoramic images. And they aren’t the crap quality you would expect for such a novel idea but a full 12mp of clear imagery for each shot. It’s no slouch on the range either. You get a full 70 feet of detection and illumination. Pair this up with your stand feeder and get a shot of everything coming and going. There is no better tool to get a good census of your local deer population. Sure, it doesn’t take video but why would it? The pictures are all of the evidence you need. 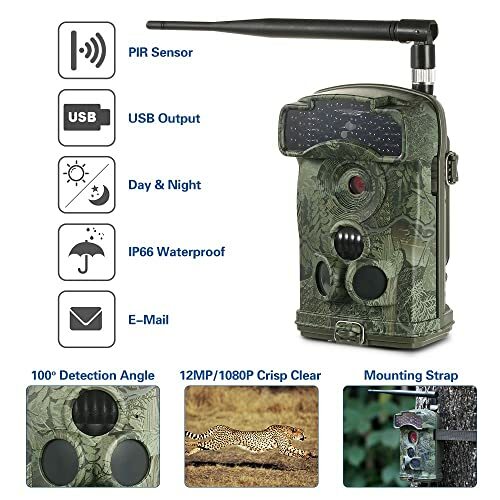 There are really no comparable products on the market so when I say this is the best panoramic trail camera, the competition is very small. Luckily, they did a good enough job on this one to make it worthy of the title. Occasionally you will get some strange photos with panoramic cameras where things just didn’t work correctly. This is unavoidable but will happen so rarely that you will probably never have an issue. Batteries are prone to failure, no matter how long a battery life a device has. Not only will the amount of activity around the camera run down your batteries but using a higher resolution, more powerful IR flash, video, and even temperature can make your batteries die an early death. That is where solar recharging trail cameras like the ECO come in handy. Even if the batteries run down tonight, they will charge again tomorrow. Of course, solar can’t be the only selling point of a camera. Who cares how long it can take pictures if all of them are crap. No worries with the ECO. This is a solid 16mp camera that also shoots amazing full HD video. The range won’t leave you wanting either at around 80 feet which is on par with any non-solar unit for the price. You can expect about 8 months between battery changes with this unit with the solar charger topping them off when they run low. Eventually, the will give out on you but you have plenty of time between to get them changed. Set this out in July and take it down in December to cover the entirety of scouting, rifle season, and bow season. Moultrie is another company that is synonymous with deer seasons, having produced some of the best deer feeders on the market for years. 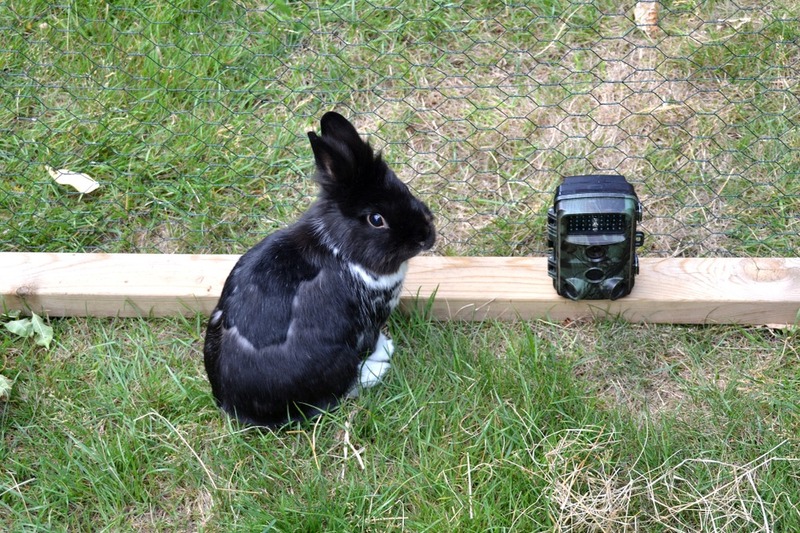 Their foray into the world of trail cameras has also been a resounding success. They don’t mess around with gimmicks, just a quality camera that is rugged and dependable to get you’re the evidence you need. For a start, this is a 20mp camera that also takes 1080p full HD video that will give you superb, crisp, and clear images. Nothing escapes this camera and to ensure that, it triggers in less than a third of a second and can reach out over 100 feet with one of the most powerful IR flashes in the industry. The runtime may vary but you can get up to 19,000 images from a single set of batteries on the right settings. If that won’t get you through a season you have far too many critters around. It runs on 8 AA batteries and will accept SD cards up to 32gb which should keep it up and running for months. Did I say no gimmicks? Well, there is one. The M-50 is compatible with Moultrie Mobile which means you can see everything your camera has seen from the comfort of your home on any mobile smart device. There is a small monthly fee but one that is well worth it for hunters with less time to make it into the woods. It’s tough to beat the price of a Moultrie for what they do and the quality they bring to the table. Bushnell is back again and much like the bigger brother of this camera, it has all of the features that most hunters care about but none of the fluff to drive up the price. For those hunters on a somewhat tighter budget, this camera won’t just get you by but will serve you well. This is a great option for people who need a number of cameras to cover their land. To break it down you get a 16mp camera that takes full HD video. Set the camera up to take instant follow up shots or as few as 1 per minute to preserve your batteries. Trigger time is an impressively low 1/3 of a second and will trigger out to 100 feet. The IR has the same trigger range so you can get those deer that are lurking in the distance. Just like the higher priced model, this camera has a true 1-year battery life and with the use of a 32gb memory card, you can leave this in the field for weeks or longer with the need to check. All of your pictures will be time stamped so you know when the area was active most. When it comes to scouting this is one of the best out there. Don’t leave any ground uncovered, stick a few of these around and you will be ready to go when the time comes to hit the woods. Bushnell does cameras right and though there aren’t any of the really advanced options on the Trophy Cam, it is an amazing tool. If you are hunting close to home or just outside the suburbs, those deer can be a little extra cautious and may spook easily. The game quickly turns to cameras that can capture what you need without startling the local wildlife. Stealth Cam is a company that says what they do up front, provide cameras that are quiet and unobtrusive for those more skittish creatures. Stealth isn’t the only thing they do though, these are fine cameras that take amazing 10mp images and 1080p video. The trigger time is less than half a second to catch deer on the move even at a distance of up to 100 feet from the camera. Just because this is a budget system doesn’t mean it isn’t quality. In the price range, this is among the most popular cameras out there. But getting on to the ‘stealth’ thing. What makes this camera so unobtrusive? The use of a technology called ‘black IR’ which is, in reality, only IR that doesn’t emit that red glow that can startle the local animal population or keep them away entirely. There is also no audible trigger click when the camera goes off. This makes for a camera that can get your photos without causing any alarm. It may not have the year-long battery life of some cameras but with good batteries and appropriate settings, you can get several months between changes but since you will have to visit this camera to get your photos, battery changes aren’t that big of an issue. Rounding out the lineup with the ultimate budget camera, ENKEEO has done a superb job. Not only is the camera affordable but is high quality with great images and a ton of features. Just because you are shopping on a budget doesn’t mean you have to compromise on everything. For a camera in the budget category, the ENKEEO still offers 12mp camera and full 1080p video in an up to 120-degree arc in front of the camera. Even those evasive deer that always end up just at the edge of the picture will be clear with this camera. Trigger time is less than half a second out to a range of 65 feet. None of that may knock your socks off but it is far better quality than even the best cameras a few years ago. If you consider it a drawback, this camera is a little light on customizable settings. It works right out of the box with no messing around with menus. You get what the camera is set for but the settings are generally what most hunters use anyway so the downside is minimized to a greater degree. 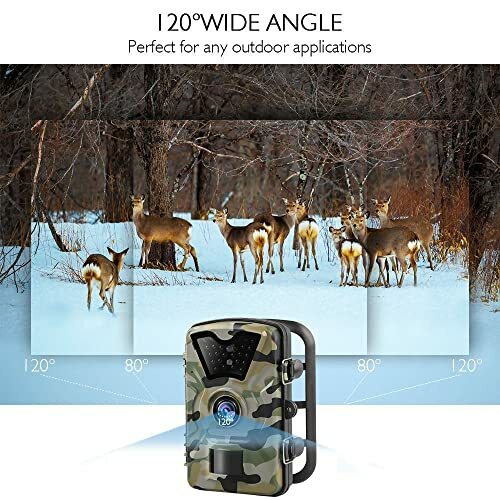 The IR on this camera is low-glow to keep from spooking deer and it does have a lot of the features common to most trail cameras like time-lapse and photo intervals. 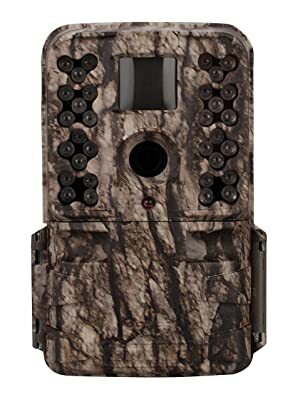 Don’t be fooled into thinking this camera is a wash just because it can’t be customized, it has enough to keep most hunters happy. For something that sounds simple, figuring out the best trail camera is about a lot of different features. Some of these features may be less important to you depending on what you really need out of your cameras. However, make sure you understand the basics of all these cameras to ensure that you know exactly what you need to keep an eye out for. Like with other cameras, there are many options that you will have to think about when you’re considering a trail camera. Each of these features can help with something different. Depending on your purpose, you may have a priority for some features over others. The field of view is more than just how far forward the camera monitors, it also the amount off to the sides that it can see. 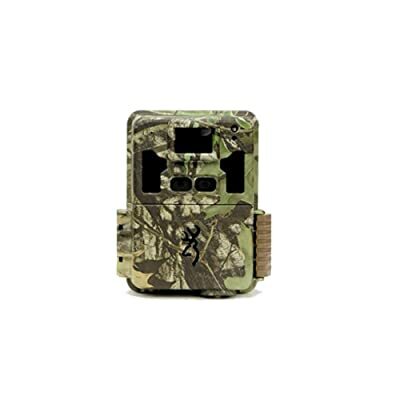 Some trail cameras are built to have a wider field of vision that doesn’t reach out quite as far. Some cameras can see very far forward, but can’t see that far off to the sides. This information will be most important if you already have an idea of where you need the cameras to go. If there is an area where you want a wider view, then you will want to focus on getting a trail camera that has that wider view. Otherwise, a standard camera that has a further reach is a little bit more important. Along with the field of view, some cameras are more sensitive in their field of view than others. This is especially important for those hunters that are after smaller game that isn’t always caught by typical cameras. This feature will also have to do with your trigger speed, but we will get to that shortly. Having pictures or video from night can be really important. The game that you’re hunting may be more active at night in the particular area where you are hunting. But night vision means that you need a camera that won’t use a bright flash to capture images of the game. Scaring away the game is the last thing you want. There are a variety of different cameras that focus on getting images at night. Sometimes this involves lower light settings for the camera itself. Sometimes it’s also about the LEDs that are on the camera. There are tons of different options. You might want to do research about the area and the game that you are hunting before you decide on what kind of night vision options you pick out for your camera. However, if you are particularly worried about spooking game or other wildlife, then I would suggest picking up an infrared camera. These cameras are actually a little bit better for night because they’re triggered by movement and heat. They tend to use LED panels that light up instead of a flash bulb. This means that the light is less sudden and less threatening to any wildlife that passes in front of it. However, what will work best for you will depend on what you’re intending to do. This is an option that you will see on almost all cameras, not just trail cameras. The number of megapixels that a camera has informs how nice the pictures are. As trail cameras are improving, you will start to see more and more cameras that are having improved megapixel count. If you need multiple cameras, then you might want to sacrifice the number of megapixels that you are looking for so that you can get multiple cameras instead of just having one really good camera. However, if you only need one or two cameras, then you might want to be better able to decipher the images that your camera takes. In that case, look for cameras with better megapixel counts. The highest Megapixel count that you are likely to find is right around 20. 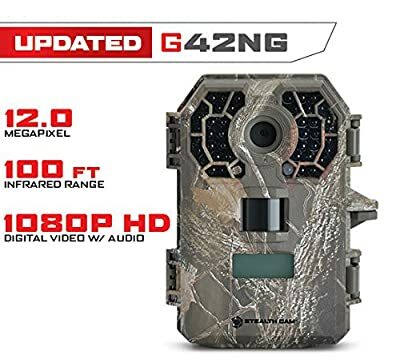 This is fantastic for a camera, but it will cost you a little bit to get all the other great features of a good trail camera along with that megapixel count. Having a movement trigger is a little bit of option. Many cameras will have this, but they will also have other options on top of it. However, if you are planning to use the trigger, then you will want to look for a camera that will trigger fairly quickly. While animals don’t always spring through an area, you want to make sure that if something is in front of your camera, you get a picture of it. The faster a camera can take a picture, the more likely you are to see what set it off with better clarity. However, even with a quick trigger speed, your camera might not be picking up on all of the creatures that pass in front of your camera. If you are looking to catch smaller game, then you are going to want to have a camera that will be triggered by that smaller creature. This isn’t always a given with a camera, so you might want to read some reviews or ask at a local hunting store about the cameras that will pick up all of the right animals. Beyond the trigger, you might want your camera to take pictures at set times throughout the day. This is an option in a lot of cameras. In fact, most cameras will allow you to set specific periods of time to take pictures. Being able to decide when you want your camera to take pictures is incredibly important. If it doesn’t give you options, then you might be wasting time and space on a memory card. This isn’t a feature that you might think about right away. In fact, it might be in the back of your head while you’re looking for a camera to put out there. However, this is an incredibly important thing to consider. If you are hunting with a gun or hunting creatures that tend to get aggressive, then a more durable camera will be able to survive more of what you put it through. While you’ll probably be aware of where your cameras are, you might forget when you’re lining up the perfect shot on something. A glancing blow of a bullet is something that you will probably want your camera to be able to survive. Beyond your own firing, you may be hunting game like wild boar or pigs. These creatures can get quite aggressive at times. This means that your camera might be hit by the game that you are hunting. If your camera is durable, then it should be able to stand up to anything that comes at it. Of course, the camera will eventually fall apart because it is not designed to last forever. But getting a camera that will last through the hunting season will always be a great purchase. One of the other important things is how long your battery will last. If your battery doesn’t last that long, then you’ll have to go out there to get the battery swapped out for a fully charged one more often than not. There are ways to get around this. Cameras that use LEDs might last longer just by their design. In addition to that, there are solar options out there. 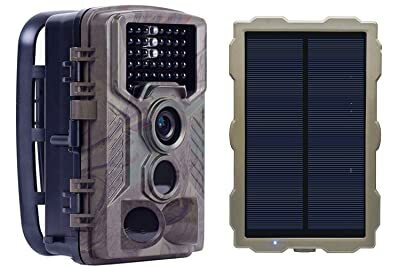 These solar cameras will have to be placed in areas where they will get sunlight, but if you are hunting in an area that gets more sunlight, then this option might be fantastic for you. If you live in an area that is much darker and rainier during the hunting season, then you may look for a camera that has better battery life on its own. There are some options that you can find that are not standard on every camera that might make your life just a little bit easier. Two of the best options have to do with how you get your pictures. There are cameras out there that are capable of using the wireless internet as well as a cellular signal to send images to you. This option may cost a little bit more and have fewer options than other cameras, but being able to get your pictures without having to deal with physically going to your cameras can be incredibly important for people that don’t want to go out to their cameras or can’t always get to their cameras on a regular basis. This option works best when paired with triggered pictures. It means that you’ll get notified when animals are around your camera. It can help you when you’re trying to make plans to get out there and hunt. There are other smaller extras that people can have like solar panels. However, like we said, these extras can often make a camera a little more expensive. The price of a signal trail camera can affect what you decide to do if you need more than one angle covered by a camera. The decision to get multiple cameras might mean that you get one in an important area that costs more and is a little bit better. After that point, you might consider getting smaller, less expensive cameras that you can use in other areas that you might move around as time goes on. Just make sure that you work with your budget to find the camera combination that works best for you. Whether you’re using a trail camera for your home security, your hunting area, or even your ranch, a good trail camera will serve you well. You’ll have to consider exactly what you need out of your camera as each camera has its own specialty that it will excel at. Once you’ve got a good camera set up, you’ll be happy with it for a long time. Q: What is the difference between a trail camera and a game camera? This is the most common question asked about cameras. Simply put, there is no difference. Some companies use one term where others may choose to use the other. There is no other difference than what a company chooses to call their camera. Q: How should I mount my camera? Most people use a mounting strap that is often provided with the camera for mounting. This is the most expedient method and will make the camera easy to relocate should you need to. As long as you mount the camera in a way that it won’t shift or move, it will work for you. The strap is just the simplest method and the one we recommend. Q: How high should I place my camera? There is a lot of contention as to how high to mount a camera but the conventional wisdom is to mount the camera between 3 and 5 feet. Some people have good luck mounting a camera around 7 feet and then angling it downward. For the best mounting location, somewhere around 4 or 5 feet with the camera level will provide you with the most range and best effect from your camera’s trigger. Q: Is there a difference between night and day picture quality? Most pictures taken with IR will appear a little grainy. This is a limitation of the IR technology and not the resolution of the camera itself. A camera with a higher resolution will generally perform better with less grainy photos but all photos may be a little less crisp at night. Q: My IR triggers with every photo, not just at night? Check the location of your camera and make sure it isn’t in an area where it is constantly dark around the camera. Trail cameras use a light sensor to switch between day and night mode so keeping them under a dense pine tree may not allow enough light for the camera to switch to day mode. Q: How do I keep my camera from being stolen? The tried and true method is to purchase lockable boxes to store your cameras in. This is a marginal defense but one that can be effective. Also, consider concealing your cameras with brush or in hard to see places. Just make sure your lens isn’t covered. Getting a camera stolen in high traffic areas is just a risk we take. Q: What type of batteries should I use in my camera? Rechargeable batteries will give you the worst overall life for a camera and should be avoided. Both standard batteries and lithium batteries provide good lifetime but lithium are preferred for most cameras to get the longest possible lifetime. Q: What affects my camera’s battery life? Many of the settings on a camera can affect the usable battery life. Things like the brightness of the flash and image resolution will drastically shorten the battery life of a camera. Pictures taken at night also use more battery power as do lower temperatures. There is very little you can do to change these factors and are often something we just have to live with. Use the lowest resolution and range you need for the placement of your camera to get the most out of your batteries. Keep them in sunny spots to keep them warmer and prevent unneeded use of the IR flash whenever possible. First I want to thank for your very good valuable article. It really helps to find the best trail camera. Do you have any great experience with trail camera? 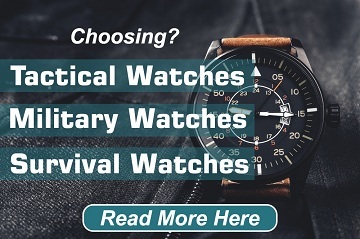 Personally which one do you recommend? What do you think, Is Moultrie Game Spy M-990i Gen 2 best? Be forewarned on browning trail cams from my experience. I bought a btc-4-14, 14 mp HD and it takes terrible pics, especially at night. I have a 3mp cam that completely outperforms it every category regarding image quality. Sent cam to browning and they just sent it back and said it was fine. Yes, seriously, knowing I was dissatisfied. No call or email discussion of any kind. Sent them pics for comparison too. Worst cam I have owned including old ones that are near vga resolution. I’m really confused on this article. The 990i gen 2 is an older model. No where have you actually listed 2018 model cameras. 40% of trail cameras in the field are Browning. Thanks Mike! the products on the list is for the last year, new list will be updated in some days. Our list updated with more information, let us know your opinion, thank you! Glad to see you posting again. I’m a bowhunter from the Little Rock area. I enjoy your posts. Thanks for writing! The problem I have had with my cameras is humidity and waterproofing. They only lasted 6 months to a year, it is wet here but there must be some that are better than others at keeping the moisture out? I even tried silicon spray to no avail….. One was a cheep generic brand and the other was supposed to be an Acorn.